Metal Lathe for Home Machinists is a project-based course that provides a complete introduction to the lathe and lathe metalworking. It assumes no prior knowledge and works through the process of using a lathe from beginning to end. The reader advances through a series of practice projects that teach how to use the lathe and develop essential skills through practical application. The book takes beginners through all of the basic techniques needed to tackle a wide range of machining operations. A getting started section reviews the necessary tools and equipment. Twelve lathe turning projects are provided that provide the opportunity to develop confidence and become an accomplished home shop machinist. Each project is designed to develop essential lathe skills that the reader will use again and again. 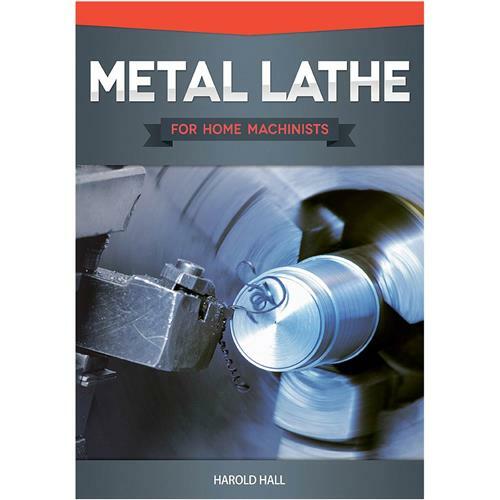 Buyers of this book not only get a training manual on using the lathe, but also receive practical instruction on how to apply the knowledge that it presents. Prospective model engineers will discover valuable tips, and get useful pointers on things like screw cutting, face-plate attachment, the right way to get things centered up, and how to hold oddly dimensioned materials. Softcover, 168 pages. Met all expectations for content. Glad I bought it.